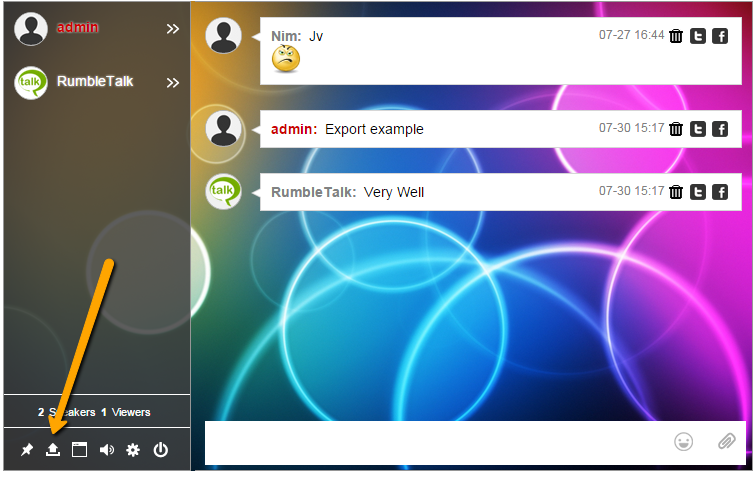 The RumbleTalk Community chat includes many options and features. The platform is evolving and we are always working to ensure that our platform is growing and adapting to the needs of our customers. Our community chat features provide a high level of functionality matched only by their ease of use; check out our five favorites below. As a chat administrator in a community chat, moderating is what you do. Now if someone were spamming the chat room, threatening to compromise the professional environment you have worked so hard to cultivate. With situations like this in mind, we have made deleting messages a quick and simple process. All you have to do to delete an individual message is to click the trash icon next to it. That’s it. This will consequently remove the message from the chat for all users. To clear the entire community chat message cache history (for all users), select the gear icon at the bottom of the sidebar. This will bring up your chat options. From here, you can click the ‘clear chat messages’ button. It’s that easy. Note, you will only see this option if you are logged in as an admin in the chat room. 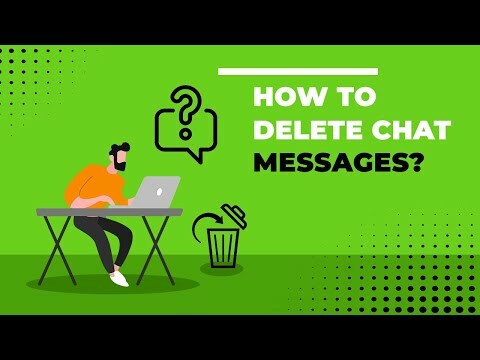 Part of your responsibility as an administrator will involve deleting another person’s messages in the community chat room. When a user is often spamming your chat, we designed and implemented a number of chat features that enable you to identify and stop those undermining your chat room. 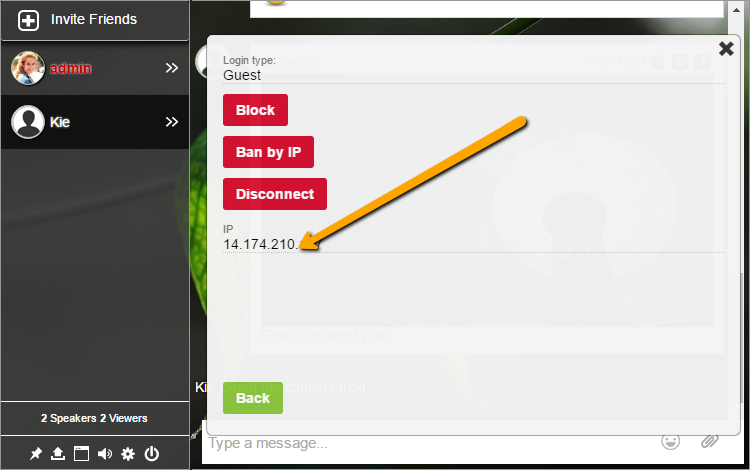 These chat features are founded on the ability to view a user’s IP address. An IP address identifies a computer and distinguishes it from all the other computers on the internet. Knowing the IP address of the flamer or troll who is targeting your chat is the first step towards taking preventative action against such offenders. The vast majority of chatters in a community chat room will be there to hear what you and other genuine users have to say. If there is someone present whose only intention is to disrupt the chat and abuse members, you can ban that user. First of all, click on the name of the user you want to ban in the sidebar. This will open a private chat panel with that user, complete with moderation tools. From here you can select your course of action. You could send a message to the user cautioning them against further misbehavior. Furthermore, you could disconnect them, and temporarily remove them from the chat. Both of these serve as an effective warning. If they ignore these warnings and continue to break the rules, you can ban their IP address. This removes the user from the chat and permanently disallows access from their current IP address as a result. This is usually enough to thwart your average troll, but it should be noted that banning a user’s IP address will not stop that user from accessing the chat from another computer or mobile device. If that happens, you can remove that user in seconds and get back to those who warrant your attention. With approximately 10,000 bans in total in large community chats, banning a user by their IP address is one of the most noteworthy chat features across all RumbleTalk chat rooms. It is a robust tool that weeds out internet abuse and spam almost as soon as it appears. The internet can be an impersonal place. We reduced trolls and flamers to a series of numbers in the previous section, but that needn’t be the case for trusted users. A chat packed with hundreds of other users can be intimidating to someone who has just arrived. Where would they even start? You can give them some guidance by adding information about your users. Adding this information couldn’t be easier. Just click on the relevant user in the sidebar and type it in. You could provide information about their role in the chat, or give credit to the most helpful and valued members of the community. Most of all, this goes a long way towards humanising authority figures such as the moderators and building trust between users. Your followers will be much more receptive to your service if they find themselves in a warm and secure environment like this. Exporting the chat room transcript can be highly useful to the administrator who runs their chat room in conjunction with a website. The exported transcript can be an unexpected and highly valuable source of marketable content. How so? With a touch of formatting, the chat room transcript can serve as a promotional post on your website. No need to sing your praises when your users are already doing it for you. A post like this is unusual and consequently is sure to pique the interest of your readers. Including the exported transcript on your website also means that users who missed your last discussion can catch up. They get to read exactly what was said and are therefore firmly in the loop for the next discussion as a result. In addition, this community chat transcript gives an insight into the word and phrases that prospective followers or subscribers are using to find your service. This information is especially relevant for SEO (search engine optimization), and we can leverage it to rank higher in Google and attract more followers. First of all, click the arrow icon at the bottom of the sidebar. This will export the chat history as a HTML file. This file will be entirely text. Any images or videos that appeared in the chat will appear as URLs in the exported transcript. Clicking this button will export all messages currently loaded in the chat room. If you want to export older messages from the chat room, you will need to scroll up in the chat room to load them. Once downloaded, you can finally click on the HTML file to open it in your browser. If you’d like to find out about how to export the transcript using more advanced criteria, check out our guide here. Here at RumbleTalk, we are proud of these community chat features, but prouder still of our drive to improve the chat room platform. Previous postWhy Do Internet Radio Audience Like to Chat?